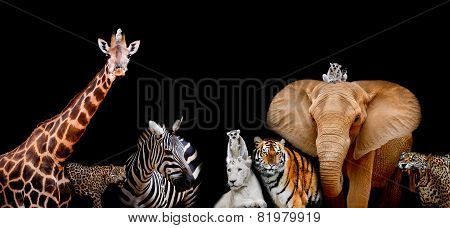 A group of animals are together on a black background with text area. 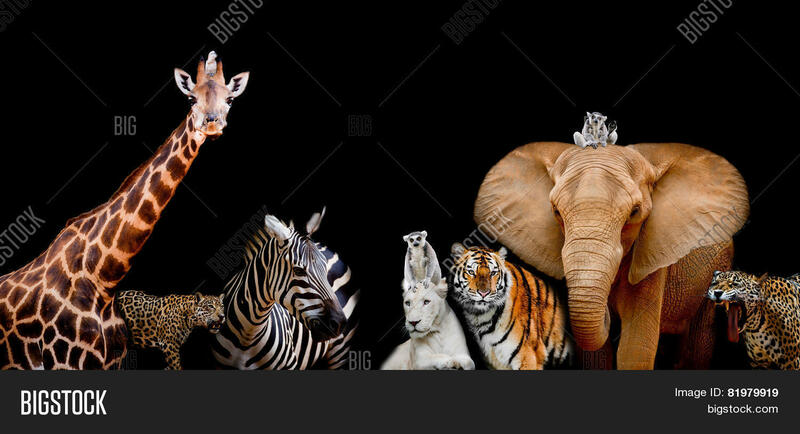 Animals range from an Elephant Zebra White Lion Monkey Giraffe and Tiger. Use it for a zoo or conservation concept.